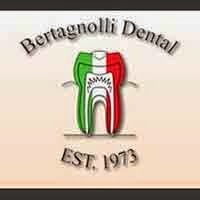 At Bertagnolli Dental, our staff is committed to providing the best dental care for you and your family. We provide the personal attention you need with special emphasis on gentle pain free dental procedures for the entire family. When looking for a dental office in Westminster we are the state of the art practice you are looking for. Early detection is the key to keeping your teeth healthy and beautiful. We have a comprehensive list of general, cosmetic and restorative dental services to meet your needs. Some of the services we provide include teeth whitening, implants, crown, general check-ups/teeth cleaning, dentures, veneers, and sedation dentistry. We have your best interest at the heart of everything we do. We invite you to experience our warm and caring dental office team. No matter what type of dental procedure you need, contact our office today when you need a dental office in Westminster.